A new fun way to share books, ideas and a chosen beverage! Beer and Books is a unique interest group. Members meet in a different pub each month rather than in each other's homes. As a result, there is no need to cook or clean! The emphasis is to relax and book share while enjoying a beverage of your choice. This means no deadlines or specific books to read each month as is usually found in most book clubs. 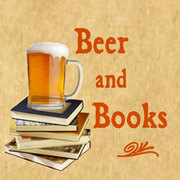 All Beer and Books Interest Group Members are asked to subscribe to the Beer and Book IG Forum to receive notice of postings so they can stay in the loop.